Well it looks like folks outside the country of smelly cheeses will also be able to enjoy Eric Bergeron’s “A monster in Paris” feature! An 1080p English trailer just popped out and I am finally understanding why the lip sync was off in the French version… they animated with the English audio! :-) Surprisingly, the songs were also written in English. It is a good thing they had such a fabulous composer/singer as M.! Some of the lip sync is a bit too symmetrical in places but this is looking pretty good overall. I missed last sunday’s première but I hope to catch the general release very soon. We can say whatever we want about Europa corp. at least they made the movie come out and probably get released worldwide. Hopefully this will attract more investors to the French feature animation industry. Wouldn’t it be great if we didn’t need to emigrate to the US to work on similar projects or command higher wages? Talking about the USA, the TAG 2011 Wage survey just came out. Some more concept and visual development work for next year’s Pixar Brave has been shown to the public at Disney D23 last week. I would have liked to see some Lord Macintosh designs just to finish the model I started a while back :-( The Wise woman is looking really cool. During a Paris AM gathering few weeks ago I realised that the current Animation Mentor students don’t know the work of some crazy graduates so I’d like to feature some of them. Let’s start with my London based buddy Keith Ribbons. Keith has worked at Sony Computer Entertainment Europe in London for a bit more than 10 years before taking AM and diving into commercials and TV work. He is currently at Blue Zook working on a TV series. Check out his reel and short film or visit his Vimeo channel where he posts his WIP. AnimSchool made some great announcements in the past few weeks and released some cool videos you might have missed in the craziness of Siggraph or just during your lazy summer. To me and until now, AnimSchool was just some sort of “Blue Sky school” as most of the mentors are from Blue Sky and this would enable a quick comparison to an other school mentored by working professional animators for an other top studio, IAnimate, the “Dreamworks school”, but there is a bit more to it. First, not all AnimSchool mentors are from Blue sky. 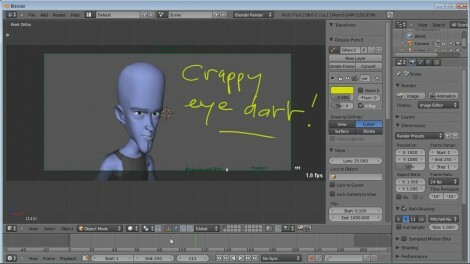 AnimSchool made some changes to its blog which you will now find at the following url: http://www.animschoolblog.com/. (I think it would have been easier or more consistent to find it under blog.animschool.com or www.animschool.com/blog but it is always better than the previous url. The new blog features some news related to the school, Animator’s interviews and mentors video critics. The latest one is from Pixar animator Mark Harris and I would highly suggest you to watch it as he is commenting on a typical 11seconds club entry that is well animated and rendered but lacking an underlying strong story. Watch it, it is really refreshing. So AnimSchool has mentors from top studios which is a minimum requirement nowadays, and also teaches rigging and modeling. When finishing Animation Mentor, I felt graduates should be given the choice to pursue their learning and get some teaching in those two area and probably lighting too but this wasn’t an option. Instead, students are offered VFX related classes which is fine if one want to work in that industry, but some of us have no intention to join it and would rather make their own shortfilm. AnimSchool gives you that option. What other announcement have they made? Well they also released a video clip extracted from one of the lectures the students are receiving and it looks really sweet! The animation examples are also provided to the students so they can study them in their 3d software. How cool is that? David Gallagher, the AnimSchool founder also made a live presentation on the school so we got to fully understand what is the drive behind the school. 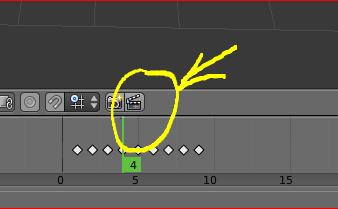 The way things are going, a lot of previously keyframe animated project are now going the Motion Capture route. Motion Capture is great for that but what about for more stylised performances or unrealistic characters? What about a modern Goofy short film. How would you motion capture this? Obviously you can’t. AnimSchool seems to be teaching the exact art of making appealing cartoons and the examples shown are great demonstrations of that. The rigs they are providing are also playing at a crazy framerate (close to 30fps). David didn’t explain what kind of CPU his machine used though, but he really emphasized the fact that framerate was one of his most important concern, and rightly so, this makes experimenting even more enjoyable. The last crazy announcement he made was …. the release of Malcolm, one of their characters, to the public, for free!!! The rig will be free to use for any kind of project, even for professional work! There are obvious disclaimers but the “11seconds club” competition is a perfect example of recommended usage and I will certainly give it a go! Few years ago, finishing Animation Mentor meant making short films! What better way to show your individuality than making your own shortfilm. To me, an animator’s goal should be to make short films rather than just making shots. Andrew Gordon expressed a similar feeling in a 2008 Splinedoctors’ blog post. Here is a great shorfilm by abAutorig maker and animator, Brendan Ross, aka “Supercrumbly”. If you ever wanted to try Zbrush but couldn’t afford it or were just put off by the interface, don’t despair! Blender comes to the rescue again! Here are two really cool videos where you will be able to witness how awesome Blender, a FREE software is! This time you won’t have to listen to my silly comments or watch me looking for tools as a master modeler/sculptor will take you on a tour. The first video is a sped up version of the second video, a teaser if you like. The second video is a 1h30 mins long sculpting walkthrough were you will be able to follow Roberto Roch and watch him work in realtime. Check this out, they are both in 720p!!! My friends Alfonso Sicilia and Andrea Castagnoli with three of their co-workers just set up Anim Dailies, a pretty cool webiste with a very simple premise: Five senior animators from top VFX studios, will have a look at your work and give you comments, for FREE! There is no BS here, none of them got credited for work they never did and none of them are trying to fake some sort of expertise. Their Linkedin profile and their showreel is freely available so YOU know THEY know what they are talking about. Jing is a really cool freeware from Techsmith that allows you to take screenshots or 5 minutes videos, add notes and automatically save them to your FTP server, Youtube, Facebook and other social website. In the process it also feeds your clipboard with the web server path information so you can share it with everyone immediately. The compression is not always the strongest but it makes things so easy by automating entirely the whole process. It is a bit like Dropbox from what I understand, but without the privacy issues. Here is a screenshot example using a great pantomime shot by Brad Kinley. No, no there is nothing wrong with your shot, that’s only an example Brad :-) I encourage everyone to check out his website, he has a great showreel and nice tutorials. Setting up Jing to automatically copy the FTP information to the clipboard takes a bit of fiddling so I made a PDF to help you out.